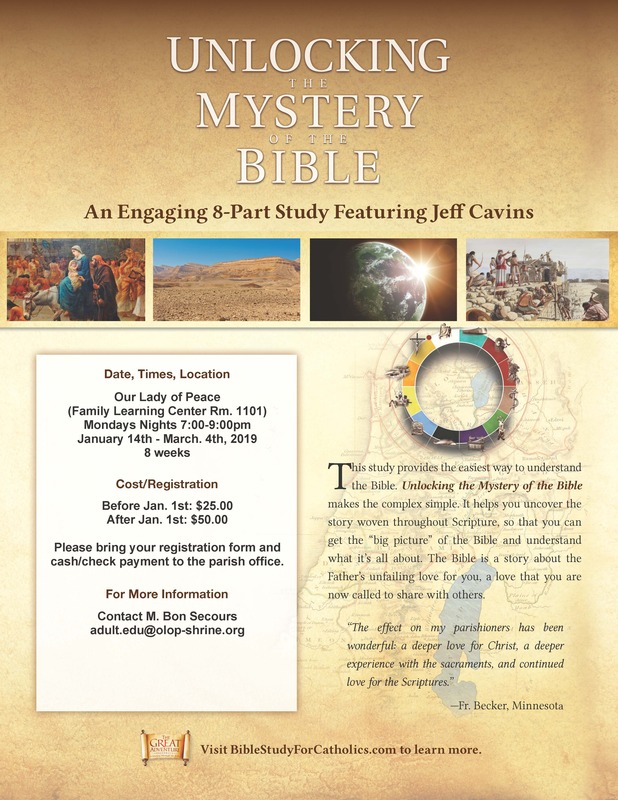 This eight-part study (30-minute sessions) provides the easiest way to understand the Bible. Unlocking the Mystery of the Bible makes the complex simple. It helps you uncover the story woven throughout Scripture so that you can get the “big picture” of the Bible and understand what it is all about. The Bible is a story about the Father’s unfailing love for you - a love that you are now called to share with others. Please submit registration forms and payments (cash or check only, please) to the parish office or to Mother Bon Secours at the Adult Religious Education office.